Are you between and 18 and 30 years old, and willing to spend several months in Russia to explore it, be a volunteer and grow personally? Then European Solidarity Corps programme is right for you and you can join us as a volunteer! 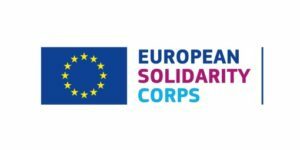 European Solidarity Corps (ESC) is a voluntary service program of the European Commission. It was formerly known as the European Voluntary Service (EVS), but the name changed in August 2018. SFERA is an accredited hosting and sending organization within ESC framework. Thanks to the possibilities of non-formal education, the European Solidarity Corps program helps volunteers acquire new skills and abilities. Each year we invite one or two volunteers to take part in a project in our organization, as well as in partner organizations in Russia. We generally implement projects in two Russian cities: Nizhny Novgorod and Kirov. Nizhny Novgorod State Regional Children’s Library. Volunteer helps with daily tasks of the foreign languages literature department, organises exhibitions and prepares presentations about his country. Additionally he/she also organizes language clubs and other activities for young library visitors. If you’re interested in cultures and presenting them to children, you will enjoy this project. Kindergarten № 365 of Sormovskiy district. Volunteers help children during lessons, walks and with developmental exercises with them because some of them have fewer opportunities, so if you’re interested in curative pedagogics and inclusion education, this project is good for you. Nizhny Novgorod Regional Public Organization for Support of Children and Youth “Veras”. Volunteer helps with implementation of developmental activities with children and assist teachers. Center for Social Assistance to Family and Children “Zhuravushka“. Volunteers help with organising and arranging children’s leisure time. Our office. Volunteer in our office helps with promotion of international volunteering programmes and has a lot of space for mini-projects organized by own initiative – anything within the topic of intercultural communication and non-formal education is welcome! Physico-mathematical lyceum. Volunteers lead after-school clubs and societies for students, participate in extracurricular activities, help with the publication of a school newspaper. Kindergarten “Children’s Village.” Volunteers work with children in the framework of the Montessori educational system. You can find testimonies of our volunteers in Russia here. If you want to become a volunteer in Russia within ESC, feel free to write to sfera.evs@gmail.com. Our coordinator will let you know which projects are available at the moment and give instructions about application procedure. If we have no placements, you can always ask other accredited organizations in Russia which can be found here. If you are representing organization and seeking advice on how to start working with a Russian partner within ESC, please write to info.Russia@salto-youth.net. – Be independent! You will be far away from home and despite all the support which you will get from us and your mentors, you will learn how to live independently. The list doesn’t end there but these are the main things! What kind of volunteers are we looking for? – Active and ready to show initiative! Remember that ESC project isn’t internship and at moments when all the work offered to you is done, it’s time to share your ideas! – Being ready to learn Russian. There’s no problem not to know Russian before coming but you should be ready to learn on the way! Volunteer within ESC is provided with accommodation, montly receives money for food and pocket money, as well as local transport, is provided with medical insurance Cigna, has language course throughout the project and his/her transport and visa costs to Russia and back are covered. Promotion of European cooperation in the field of youth. In other words, ESC’s goal is to help young people develop their solidarity and tolerance through participation in non-commercial voluntary programs abroad. ESC is an educational program based on the principles of informal learning. For a volunteer, this is an opportunity for personal and professional development, as well as, social integration. involve volunteers in non-profit activities for the benefit of society in another country. 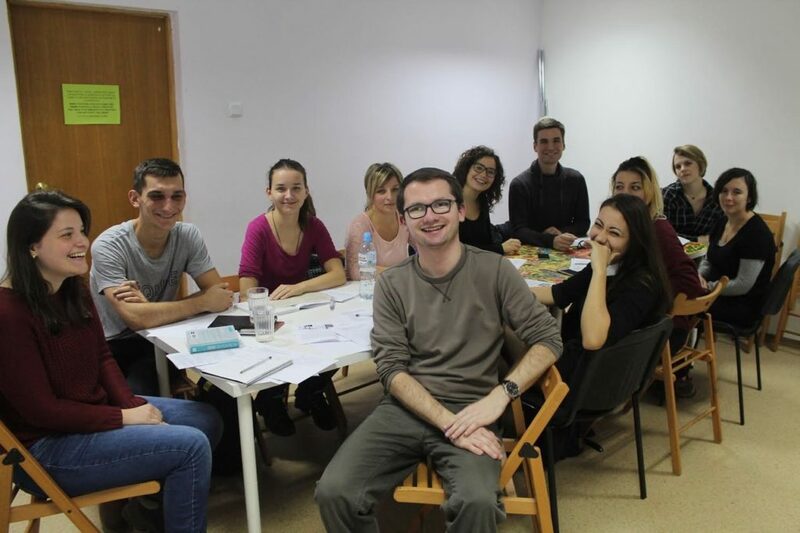 Participation in the ESC project allows a young person, aged 18 to 30 years, to volunteer in another country for a period of time (from 2 to 12 months). Projects can be, for example, in the field of environment, arts and culture; work with children / youth / older people / migrants; in the field of sport, leisure, etc. Who are the partners in an ESC project? In addition, a National Agency and the resource center SALTO EECA are involved in every project. National Agencies are representatives of the European Commission in every EU country, these are responsible for the financial aspect of a project. SALTO EECA is a resource center and as such can be contacted with questions regarding Erasmus + Youth, European Solidarity Corps and their implementation in Russia. What training sessions are ESC parts? meeting for the final evaluation (1-2 days). ESC volunteers have the right and the obligation to participate in these training sessions. These are usually organized by the National Agency or sending and receiving organizations. How are the projects funded? Each project is fully funded by the European Commission. The grant covers the travel and transportation costs, visa, food and pocket expenses. The volunteer is also provided with accommodation and insurance that covers all expenses for medical care. Join us and you will remember and value this experience your whole life!